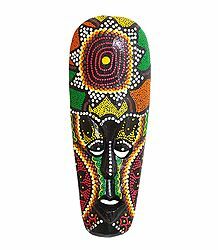 Tribal Masks : All Tribal Masks are hand crafted from various types of clay by some of the best artists.Each piece is a unique as these Masks are hand carved. Tribal masks are often used in rituals and fashioned after mythological non-human beings, often animals. 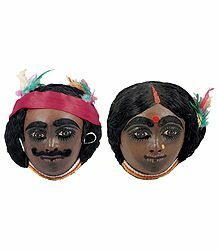 Masks are worn to accompany oral tradition, and the carvers can creatively express a village story or concept through the art form. Masks mostly are used to celebrate some rite of passage or cycle of nature. The mask is a heritage of this planet and works beyond all stipulated geo-political boundaries of the world.